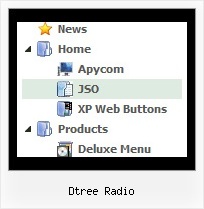 Q: Is there anyway of selecting the tab in mouse over tab menu according to what webpage you are on ? based on your link before you call your data file. from your data file to your code. Q: The menu is the table imbedded to the layer. This can help to align your menu correctly in all browsers. Try also to specify units in "px". If you want to use absolute position for the menu, use varabsolutePos=1 instead of absolute position for div. Q: I now have the need to introduce separators on the menu. I cannot find any documentation telling me how this is done.